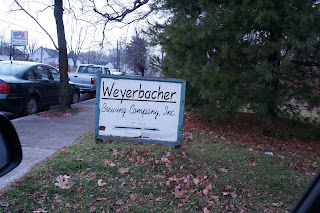 Headed up to Weyerbacher brewery, which turned out to be quite an event. The brewery is nestled near a residential are in the town of Easton. The visitor center opens at noon, and the arrival time was 12:01 - did not want to be late. The tasting area has a dazzling array of beers available, pretty much everything on sale currently. 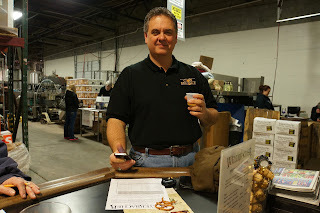 What was interesting is this was one of the few tasting rooms that was fastidiously carding everyone. 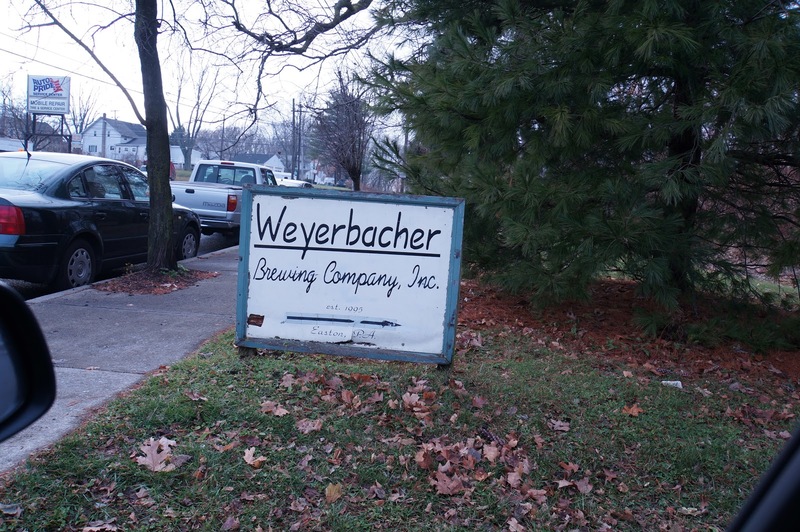 Even more interesting is the founder was a German who chose to brew English style ales. 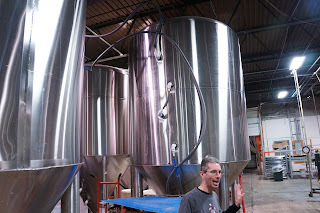 Had a nice tour of the brewery, with a detailed explanation of the brewing process. This included the whole flow from milling to mash tun, etc. 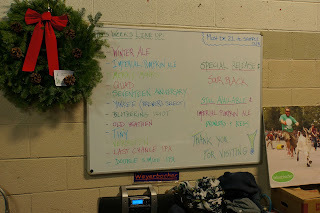 What was entertaining was the three college-aged guys who were discussing if they could do the same techniques with their "beermeister" system. An interesting turn was the emphasis on "cellaring" beer. Cellaring is when you store a beer, to see how it changes (hopefully for the better) with age. Generally speaking, one ages ales, not lagers. And the ales you choose to age should be minimally hopped (no IPAs) and probably at least 8% Alcohol By Volume. With some of their Blithering Idiot barleywine (2006) aging at home, this is something many of us have done before. 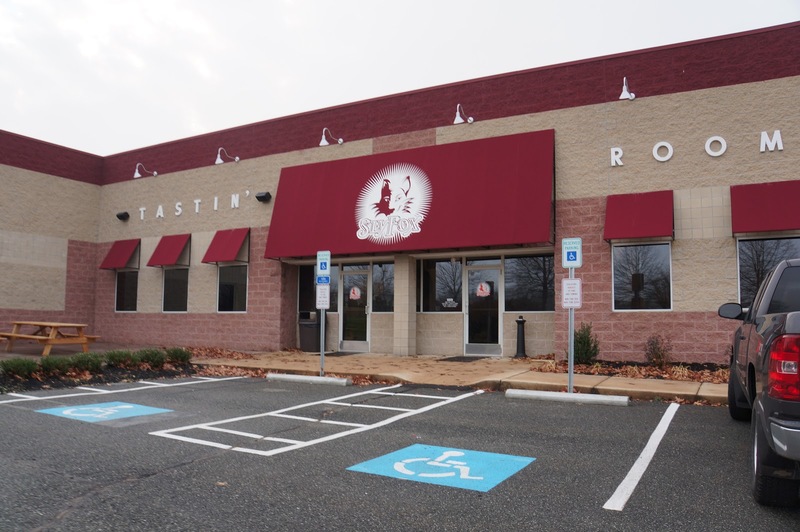 The brewery is currently constructing a new visitor center, so that should provide a more dedicated tasting area; hope to see it on their 18th birthday. Stopped in at Sly Fox brewing which is a relatively new brewpub in Pottstown. 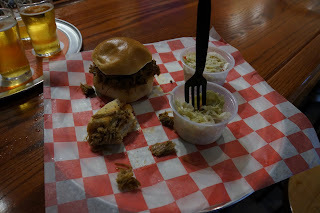 Since it was past lunchtime, had the pulled pork sliders for a repast. Quite good, with great sides, altho the sales manager Pat had earlier recommended the kielbasa pizza. There was also quite a palette of beers available, and apparently they now also sell beers in cans as well as caged bottles. A "caged" bottle refers to a larger bottle - typically 750 ml - with a cork to seal it and a basket made of wires to hold the pressure/cork in. Chatted with a couple of local beer lovers - maybe new Club Belgique members? 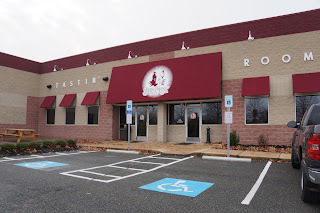 With dozens of restaurants to choose from, where do you go if you're near Royersford PA? No question, you go again to the Craft Ale House. Dinner was an appetizer of mussels, with the grass-fed hanger steak. With the Stone they outdid themselves; but apparently there are plans to have some vintage ale tastings in the future.